We would like to recognise the traditional owners of this land, the Noongar people, on which we build our community today. As a Catholic School religious education underpins all our curriculum areas. We support students to develop a personal relationship with God through our teaching and learning, especially in the way we live and the examples we share. Our Early Years Learning Program is governed by the Early Years Learning Framework (EYLF), West Australian Curriculum and the National Quality Standards. Belonging: Knowing where and with whom you belong. Being: Is a time to be, to seek and make meaning of the world. Becoming: Reflects the process of rapid and significant learning about oneself. The Early Years Learning Programme at St Joseph’s Catholic Primary School seeks to provide enriched environments for the students in years Pre K-2. The program is designed to benefit the whole child. This encompasses the physical, personal, social, emotional, cognitive and spiritual aspects of every child. The staff acknowledge that families are the child’s first and most influential teachers and strive to continue to build on what has been taught at home. We have developed an environment which encourages and supports the reciprocal relationships and partnerships for learning between child, family, school and the wider community. We create a welcoming social and culturally inclusive environment where all families are encouraged to participate and contribute to their child’s learning and development. Our Early Childhood Educators recognise each child’s unique capabilities, developmental stages and learning styles. The programme is inclusive of gender, ethnicity, intellectual and physical ability. Through observation and assessment of students’ knowledge and abilities educators make informed decisions to enable children to become confident, life long learners. 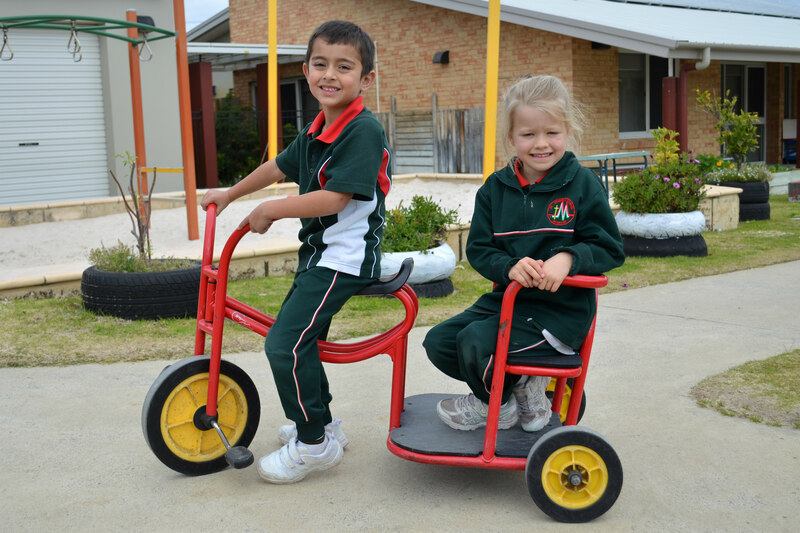 The St Joseph’s Catholic Primary School Early Years Learning Programme has high expectations for every student. We strive to maintain equity for all and foster acceptance of others. We provide rich holistic opportunities for students to learn in a safe, healthy, positive and stimulating learning environment. We respect the diverse backgrounds of all our students and make every effort to maintain collaboration and partnerships to enrich and further build community. In all curriculum areas, St Joseph's strives to provide students learning environments which are motivating, active and collaborative. Classrooms are inclusive places where students feel safe to take reasonable risks whilst acquiring the creative and critical thinking skills they need to participate fully in society as they grow and develop. 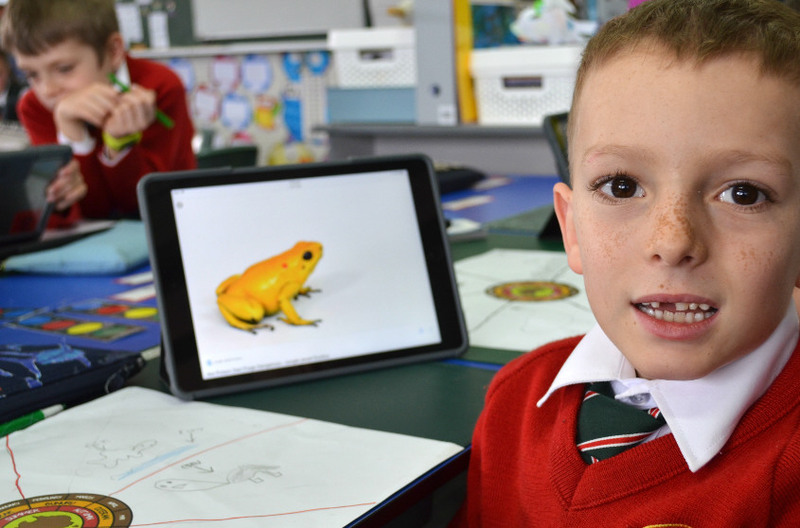 We continually utilise technology to enhance learning, expand horizons and facilitate communication. Students at St Joseph's study nine curriculum learning areas: Religion and the eight learning areas of the Western Australian Curriculum. When appropriate, the General Capabilities and Cross Curricula Priorities are addressed through individual curriculum areas. Student learning and progress is closely monitored and classroom programs are tailored to be directly effective in addressing needs. Religious Education is foundational in our Catholic school and underpins our worldview. 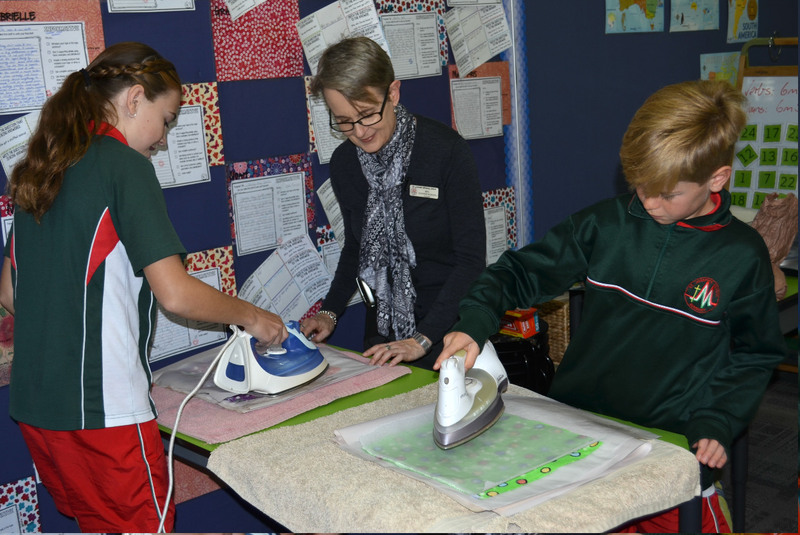 Students learn about the Catholic faith and traditions through the Catholic Education Western Australia "Units of Work". This curriculum teaches concepts developmentally and sequentially. In the English Learning Area, students learn about the English language: how it works and how to use it effectively. They develop an understanding of the ways in which language operates as a social process and how to use language in a variety of forms and situations. They learn to speak, listen, view, read and write effectively. In the Mathematics Learning Area, students learn to use ideas about Number and Algebra, Measurement and Geometry, Statistics and Probability. They learn to use mathematical ways of representing patterns and relationships, to describe, interpret and reason about their social and physical world. Mathematics plays a key role in the development of students' numeracy, assists learning across the curriculum and provides foundations for future civic and recreational activities. In the Science Learning Area students learn to investigate, understand and communicate about the biological, physical and technical world and value the processes that support life on our planet. Science helps students to become critical thinkers by encouraging them to use evidence to evaluate the use of science in society and its application in daily life. Students are encouraged to collaborate and think creatively as they make sense of the world. Health and Physical Education provides students with an understanding of health issues and the skills needed for confident participation in sport and recreational activities. Participation enables students to make responsible decisions about health and physical activity, and to promote their own and others' well-being, resilience and relationships. The HASS Learning Area develops students' understanding of how individuals and groups live together and interact with their environment. Students develop a respect for cultural heritage and a commitment to social justice, the democratic process and ecological sustainability. They develop the ability to ask questions, think critically, make informed decisions, propose solutions and communicate effectively. In The Arts Learning Area students develop creative skills, critical appreciation and knowledge of artistic techniques and technologies in drama, music and visual arts and combinations of arts forms. The Arts develop students' sense of personal and cultural identity and equips them for lifelong involvement in, and the appreciation of the arts. Students have weekly lessons with specialist teachers in the Visual Arts and Music Learning Areas. In the Languages Other Than English (LOTE) Learning Area, students learn to communicate effectively in Indonesian. They gain an understanding of other societies, the ability to interact with people and cultures other than their own, and practical skills which they can use in future social, cultural and vocational areas. In the Technology Learning Area, students apply knowledge, skills, experience and resources to develop solutions that are designed to meet the changing needs of individuals, societies and environments. In Design and Technologies, students become innovative, adaptable and reflective as they select and use appropriate materials and information to create solutions that consider the short and long-term impact on societies and environments. Through Digital Technologies students use computational thinking in class via personal or class iPads and during weekly computer lessons with a specialist teacher. Students are given the opportunity to attend educational excursions each year. At St Joseph's we recognise the importance of providing these learning experiences in the wider community to broaden and extend knowledge. Every endeavour is made to keep excursion costs to a minimum. Homework is a reinforcement and extension of work encountered in the classroom. It provides opportunity for children to practise and revise skills they have been learning. Homework also gives students the opportunity to develop home study skills. To encourage children to take responsibility for completing homework tasks. We believe that to develop the whole child it is imperative to broaden their educational outlook by including a wide variety of activities and experiences. At St Joseph's, as well as the usual classroom lessons, students have many opportunities in specialist areas. Programmes in these areas are developed, delivered and evaluated by specialist teaching staff. 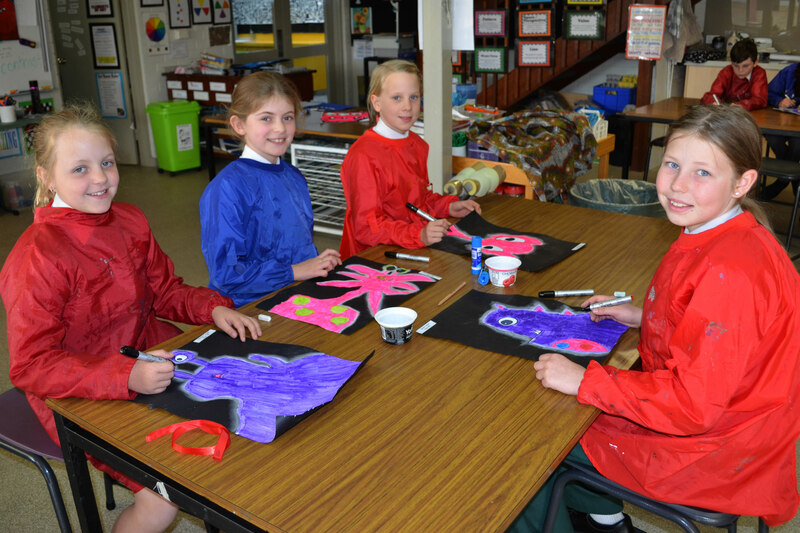 Once a week our students from Year One to Year Six engage in fun, creative and highly stimulating visual arts activities. These lessons are facilitated by specialist Art teachers. Students attend formal lessons in computing each week with a specialist teacher. All students, from Pre Primary to Year Six, are taught computer skills sequentially. Further to this program, classroom teachers regularly provide access to the computer laboratory, mobile laptops, iPads and in-class computers as part of their normal teaching and learning experience for students. St Joseph's has a specialist teaching program for Physical Education. Students attend weekly lessons, learning skills for a variety of physical activities and sports. Our focus is very much on enjoyment, participation, fitness and skills for life. Students from Years One to Six participate in in-term swimming lessons and the school has an annual Swimming Carnival for students in Years Four to Six. St Joseph's also participates in the Interschool Swimming Carnival, competing against a number of schools in the local area. 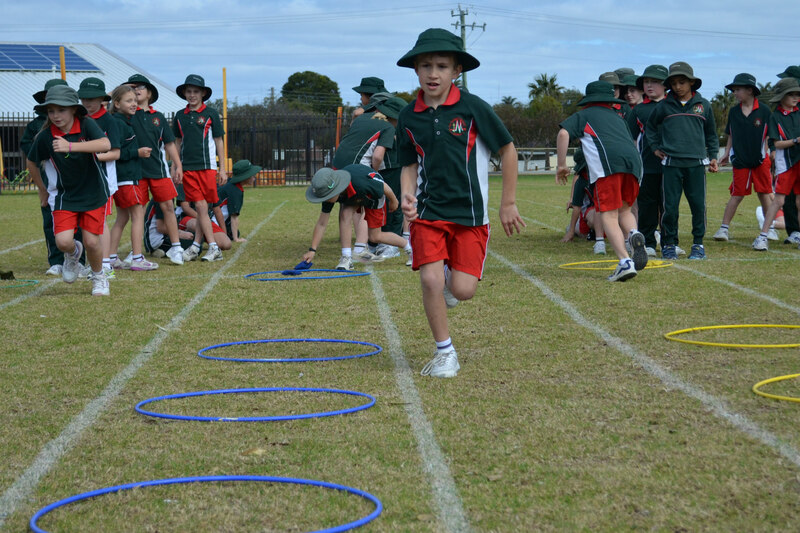 Our annual Athletics Carnival is held in fourth term, involving students from Pre Primary to Year Six. This is followed by participation in an Interschool Athletics competition with other schools in the area. Students attend music lessons with specialist teachers every week and have weekly singing practice as a whole school. St Joseph's also offers formal training in choral singing with a Junior, Year Five and Senior Choir. These award winning choirs participate annually in the Bunbury Eisteddfod and The Performing Arts Festival in Perth. They also sing regularly at sacramental Masses. Each week, students from Years One to Six attend lessons in the Indonesian language with a specialist Indonesian teacher. Students from Years Four to Six who demonstrate exceptional capabilities through a formal testing process are invited to participate in the Enrichment Program. This program gives these students further learning opportunities to extend their natural abilities. It includes the development of cognitive skills, e.g. critical thinking, problem solving, creativity etc. Students are withdrawn from their normal class for their lesson. At St Joseph’s we rejoice in diversity and foster the dignity, self-esteem and integrity of each child. We acknowledge the various learning needs of students, and are committed to providing rigorous, meaningful and engaging learning experiences where all students can reach their potential and delight in each other’s success. The most effective means of supporting student learning is through a collaborative, strategic, whole school approach that directs support to different levels of need in response to assessment data. With this in mind, we all – Teachers, Education Assistants, Principal, Assistant Principals, Learning Support/Students with Disabilities Coordinator, Parents, School Psychologist, Students with Disabilities Consultant, Outside Agencies – work as a Professional Learning Community to identify and coordinate the learning support needs of our students. Together we develop, implement, monitor and evaluate educational programs and processes by focusing on systems (what we do to support educators), practices (what we do to support students) and data (what we use to inform our systems and practices). Wave 1 – Daily quality, differentiated teaching in the classroom, supported by whole-school policies and frameworks, that is designed to move all learners from where they are to where they need to be. Wave 2 – Wave 1 plus additional, time-limited, tailored intervention support programs that are identified in a Curriculum Adjustment Plan (CAP). This support is targeted according to need, is delivered by teachers or teaching assistants who have the skills to help learners achieve their learning objectives, and progress is closely tracked for impact. This intervention helps children apply their learning in mainstream lessons, and ensures that motivation and progress in learning are sustained. The expectation is for learners to be back on track to meet or exceed national expectations at the end of the intervention. Wave 3 – Wave 1 plus increasingly individualised programs, based on independent evidence of what works. This may involve support from a specialist teacher or highly trained EA to support learners towards the achievement of very specific targets. At St Joseph’s Response to Intervention (RTI) underpins how we teach all our students. This means that students receive differentiated teaching at class level, extra support through small group intervention if necessary or one-on-one coaching. Toe by Toe is a progressive program that helps students to identify letter and sound groups, and teaches them how to effectively read words. It moves logically and methodically until the students recognise sounds proficiently and read more and more difficult words and sentences. We have found that Toe by Toe improves students’ reading significantly and gives them greater confidence in their reading and spelling, which transfers to other learning areas. Toe by Toe involves a coach giving one-on-one help to students for approximately ten minutes per day, four/five times a week between 8.30 and 9.00am. It is supervised by EAs and runs in an atmosphere of mentoring and support. Students new to the program purchase their Toe by Toe book from the school. Any family having financial difficulty with the cost of the book may access some financial assistance. The program is run almost entirely by parent and community volunteers and we always appreciate when people offer their time. MiniLit (for junior students) and MacqLit (for middle and senior primary students) are systematic, synthetic phonics programs that support students who need to revisit their phonological foundations. They help students identify letter and sound groups, teach them to effectively read words and support them in transferring this knowledge to their writing. Research has found that both programs improve students’ reading and writing significantly, giving them greater confidence in their literacy. MiniLit and MacqLit involve a coach giving help to small groups of four to five students for approximately 40-60 minutes per day, four times a week. Groups usually run during the class literacy block in the MiniLit room and replace the work students would normally do during this time. Students are provided with the necessary books by the school. At St Joseph’s our assessment and reporting is based on the mandated SCSA Pre-Primary to Year 10: Teaching, Assessing and Reporting Policy. We promote equity and excellence so that our students can be engaged, confident, creative and successful learners who are active and informed citizens, equipped to reach their full potential. Accordingly, all staff have agreed to an annual literacy and numeracy assessment calendar so they can interpret and discuss data with their peers and use it to guide their decisions about all students and to provide differentiated instruction that meets every student’s needs. Standardised testing is used at designated intervals throughout the year to create a baseline of accurate judgement about students’ progress and to make decisions about programmes which are needed throughout the school. We reflect on the suitability of the assessment tools we use and are open to alternative and more suitable assessments. Teacher constructed assessments are also used within classes to ascertain progress through units of work and to corroborate other collected evidence. Common DOTT provision and allocated staff meetings enable staff to collaborate when moderating and identifying student achievement and areas of concern. Students with learning difficulties especially need regular assessments to guide their learning. Curriculum Adjustment Plans, Individual Education Plans and Personalised Learning Plans are implemented to articulate the strengths, areas of need, learning goals and modified programmes for students requiring differentiation. 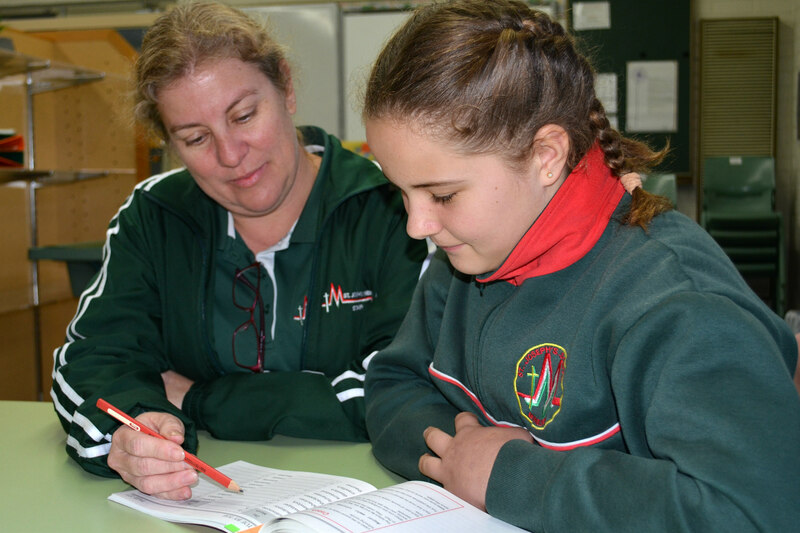 Students and parents are provided feedback through student diaries, online communication, meetings, Learning Journey evenings and formal reports.